TORONTO - Ontario's plan to significantly curb the use of a controversial agricultural pesticide linked to honeybee deaths was lauded Tuesday by environmentalists and beekeepers' groups as a move in the right direction. The governing Liberals said the plan includes an 80-per-cent reduction in the number of acres planted with neonicotinoid-treated corn and soybean seed by 2017, as well as cutting the over-winter honeybee mortality rate to 15 per cent by 2020. The rate in 2012-2013 was 37.9 per cent and rose last winter to 58 per cent. "Improving pollinator health is not a luxury but a necessity," Environment Minister Glen Murray said in a news release. "Taking strong action now to reduce the use of neurotoxic pesticides and protecting pollinator health is a positive step for our environment and our economy." But the proposed plan, which also includes the establishment of a comprehensive Pollinator Health Action Plan, angered the province's grain farmers, who said if implemented, the rules would put their livelihoods in jeopardy. "A reduction at this level puts our farmers at a competitive disadvantage with the rest of the country and the rest of North America," said Barry Senft, the CEO of Grain Farmers of Ontario, which represents corn, soybean and wheat farmers. The organization said it has invested in ongoing multi-year research projects to mitigate the risk of pesticides to bee health. A Health Canada report has suggested that seeds treated with the insecticide contributed to the majority of the bee deaths in Ontario and Quebec in 2012, likely due to exposure of the pesticide-laced dust during planting. Many fear that the decline in bee colonies will have a severe impact on the pollination of many plants and the global food supply. Earlier this year, a provincial government working group looking into bee deaths put forward a number of options, including a temporary ban on the use of neonicotinoids on field crops of corn and soybeans until the federal government completed its re-evalution of the pesticide. Ontario's Environmental Commissioner Gord Miller raised the alarm about the widespread use of neonicotinoid pesticides by farmers in his annual report released last month, calling it the biggest threat to ecological integrity since DDT — dichloro-diphenyl-trichloroethane, which was banned in Canada in 1972. "All the science is not done, but everything that I have before me ... suggests to me that this is the biggest threat to the structure and ecological integrity of the ecosystem that I have ever encountered in my life, bigger than DDT," he said at he time. The Ontario Beekeepers' Association, which has about 3,100 members, said that in the spring of 2014, the province reported 58 per cent over-winter losses, over three times the average of all other Canadian provinces. 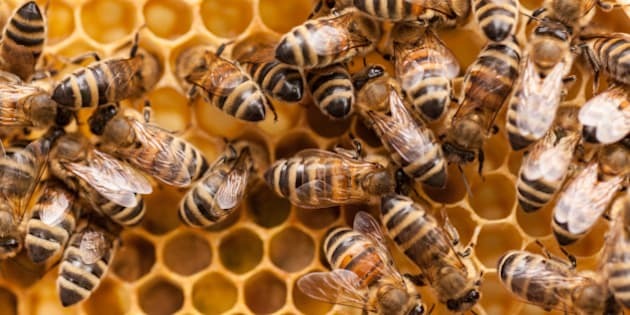 "The province's goal to reduce the over-winter honeybee mortality rate to 15 per cent by 2020 will bring the industry back to the pre-neonicotinoid average winter loss and will support a thriving, sustainable beekeeping industry going forward," Tibor Szabo, the group's president said in a statement. Premier Kathleen Wynne, who also served as agriculture minister until the June 12 election, has come under fierce criticism over what critics call a reluctance to deal with the issue. NDP Leader Andrea Horwath welcomed the move but said the Liberals should have acted sooner. "It's a good thing that they're finally getting around to dealing with it but it's certainly taken a long time," she said. "This is a very, very serious issue, it needs very quick action." The government said it will seek input about the new rules from the industry, researchers, organizations and individuals in consultations that will be held over the next two months. If the plan is approved, the new rules will be in place by July 1, 2015.